There is no clear reason for why schools began using "F" instead of "E" to represent failure. Slate reports that the earliest record of a letter-grade system comes from Mount Holyoke College in 1897. The lowest grade on the scale was an "E," which indicated failure. 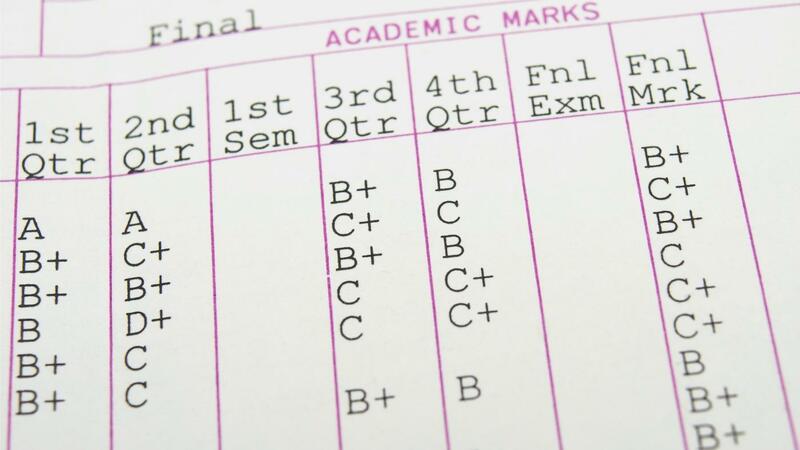 Since that time, the use of "E" as a letter grade has fallen out of usage in favor of "F." Educators may have feared that students would think "E" stood for excellent. Until the mid-20th century, the most popular grading system in the United States used "E" for excellent, "S" for satisfactory, "N" for needs improvement and "U" for unsatisfactory. While this system has largely been replaced by the A-B-C-D-F system in higher education, it is still used in many elementary schools. What Does the "E" in Chuck E Cheese Stand For? Should Schools Be Responsible for Ensuring Good Nutrition in the Foods They Serve? How Does My Child Take a WISC IQ Test?